Screen Queensland is thrilled to be welcoming SBS and NITV to Queensland for a special SQ ‘Meet the Broadcasters’ event. As part of ‘Meet the Broadcasters’, SBS and NITV are offering a unique opportunity for filmmakers to participate in a speed pitching event with the decision makers from our Scripted and Unscripted teams. Pitch meetings will be 15 minutes each. Please see the SBS guidelines and details outlined below. John (SBS Unscripted) will be taking pitches for hour long documentaries, either as singles or part of a series. John will also be receiving pitches for high quality, high production value food series’, and factual-entertainment programs. Please note that SBS Unscripted does not commission natural history, travel or lifestyle programs. We are committed to two ‘event’ entertainment programs a year – Eurovision and Mardi Gras – and although we will consider ideas, we will rarely commission entertainment programs outside of these. Joseph (SBS Documentaries) will also be taking pitches for hour long documentaries – singles or series, in the areas of History, Science, Contemporary and Indigenous documentaries. Again, please be aware that SBS does not commission natural history, travel or lifestyle docs. Sue (SBS Scripted) will be taking pitches for contemporary dramas that sustain 4 hours of television, and narrative comedy ideas. We encourage ideas that focus on hot button topics that instantly generate water cooler conversation and cross platform opportunities. We do not commission sketch comedy. Marshall (Content) will be receiving ideas for innovative single-platform ‘web-only’ projects. 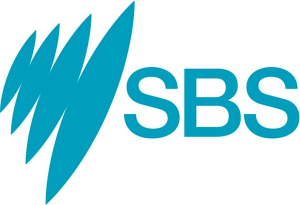 Everything we commission at SBS must reflect our Charter and explore multicultural Australia. Our Charter makes us distinctive and gives us a clear vision, this vision is enhanced by 4 key values: To provoke debate, push boundaries, surprise audiences, and inspire change. It is essential for all screen practitioners who would like the opportunity to pitch to SBS, to register their interest. Please fill in the form found at the below link and someone will be in touch with you shortly. More details of this event including the daily run down and venue to follow.